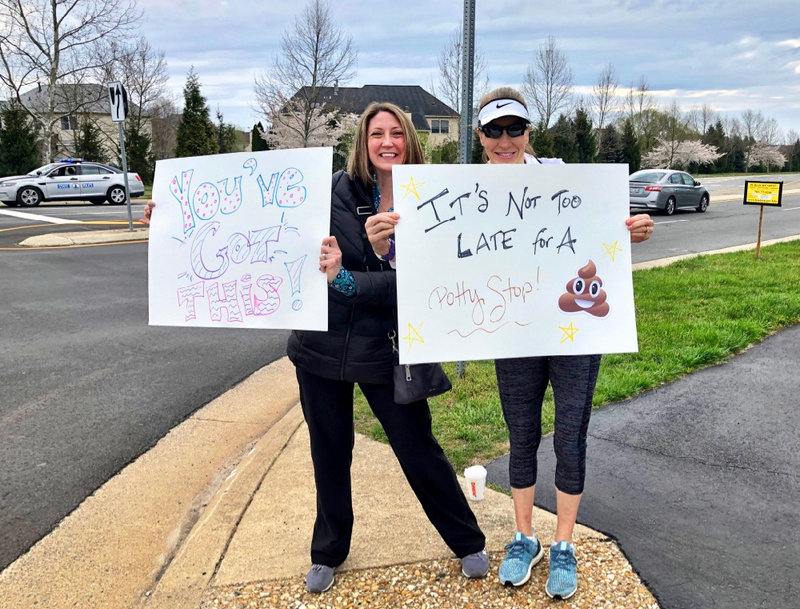 On Sunday, Erin, Tracy, and I met to cheer on the runners of the Loudoun Half as they closed in on their final half mile of the race. It was fun seeing our MRTT and Cruiser friends out racing and being on the other side of the cheering/encouraging spectrum. We had a blast and later met a few of our runners friends for breakfast. It’s tough work cheering! It was fascinating watching as two police officers directed traffic at this four-way stop all the while keeping the runners safe as they crossed the intersection. More than once, drivers got very confused and got reprimanded by an officer. We watched, horrified, as one runner almost got hit by a driver not following the officer’s directions. Ten years ago, my friend Jerome and I created the first Cruisers’ Easter Bunny Hop. We wore rabbit ears and if memory serves me correctly, Jerome made cotton tails for us to wear. We started on the W&OD Trail before weaving through our community trails for an “Easter egg hunt” in Bill’s and my back yard. 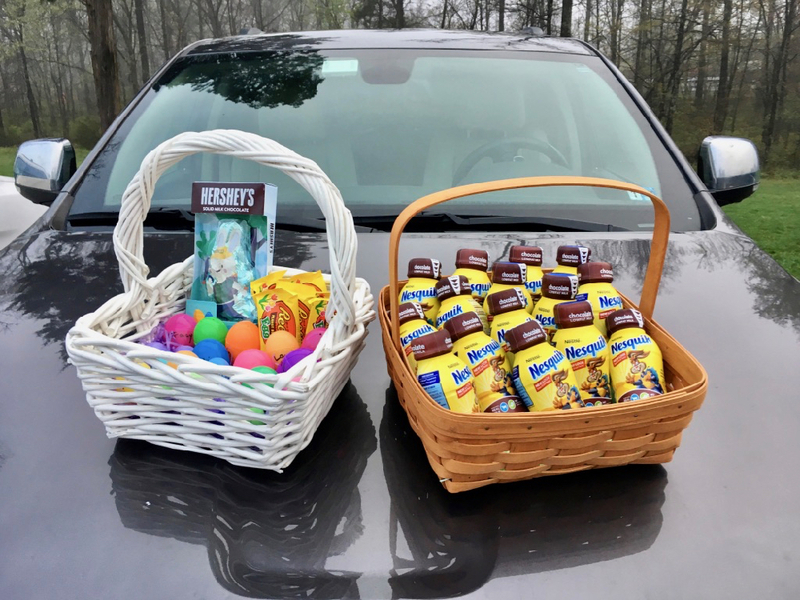 Rather than eggs, Jerome and I had hidden packets of Sports Beans (affiliate link) and Gatorade, enough for each runner. The following year I simplified things and brought baskets of goodies to hand out in the parking lot prior to our run. 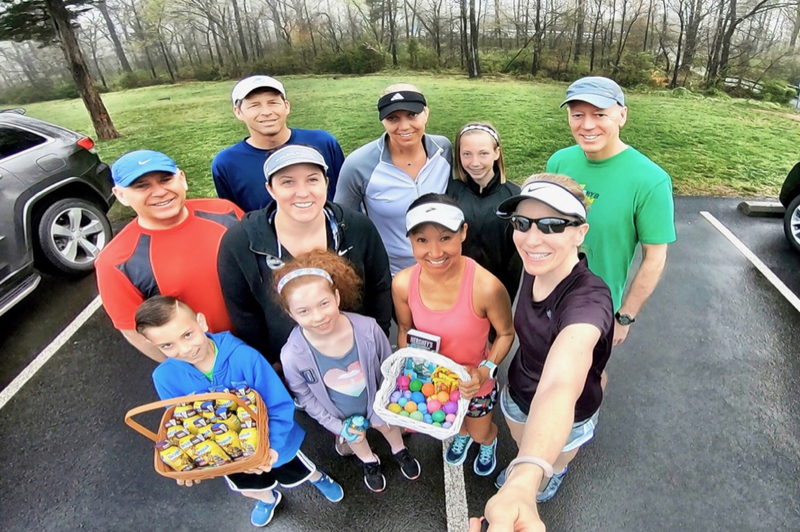 At yesterday’s Bunny Hop, each Cruiser received an egg filled with jelly beans and an egg filled with M&M’s. Reeces eggs were awarded to the three youngest Cruisers and used as prizes for running trivia questions. The large bunny – Speedy Bunny (affiliate link) – was the grand prize, but only the three youngest Cruisers were eligible to play to win! Don’t judge, I happily play favorites with the kiddos! One of my favorite things about our Bunny Hop is that a new generation of Cruisers has made this an annual event. The little girl in the front ran her first 5K yesterday! 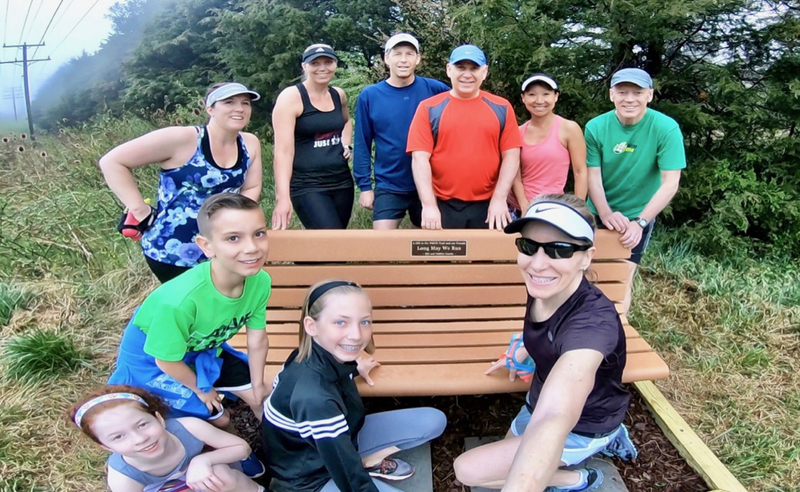 Part of our Bunny Hop included running to our new bench for its official unveiling with the Cruisers! I had my MRI on Wednesday and will get my results at my follow-up appointment with my spine doctor. Overall, I felt pretty good this week with a little less of the foot/shin numbness. Ironically, I had quite a bit after lying in the MRI tube. My mileage total hit 16 for the week which thrills me based on where I was just a few short weeks ago. Tuesday and Thursdays runs were solo, but I made up for it with a very social Saturday morning run! No major changes here – three sessions and feeling fine! As always, thank you, cobra pose! Seriously, this is doing wonders for my back! 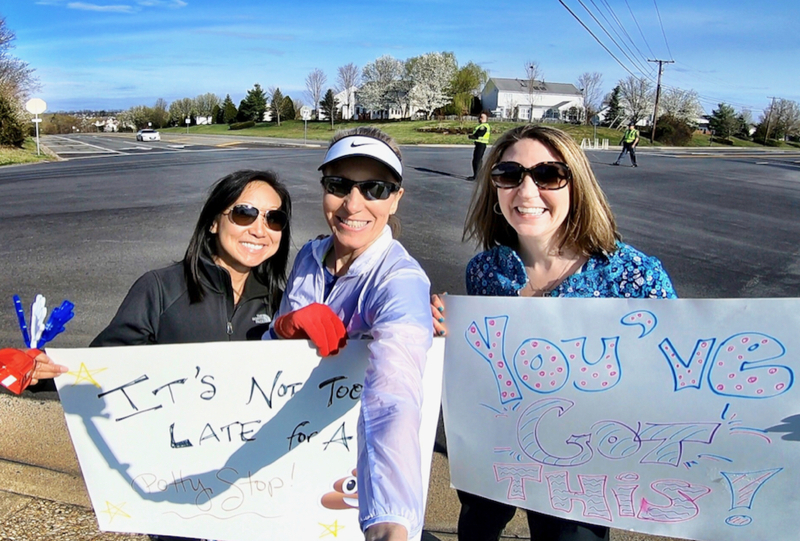 If you’re part of a running group, do you have any spring events that you do each year? When was the last time you cheered at a race? ~ I really don’t spectate races that often. I need to work on that! Your Cruisers club sounds like so much fun. I enjoyed reading about your Bunny Hop. And congrats on the continued recovery! I can’t even remember the last time I cheered at a race. Thanks for the reminder. I should do that. A friend of mine asked me to go to Boston with her today to cheer on some mutual friends on Monday, but we just got home from Richmond today. We did Ukrop’s 10k down there over the weekend, so I missed out on the Boston trip. Going to Boston to cheer with your friend would have been so much fun! It’s too bad that the timing didn’t workout. There was a new, large half here sat. Darlene along with many friends ran it, but I was already committed to the group I mentor & had afternoon plans. How fun to have a new generation joining in in an annual tradition! Yes, having the younger Cruisers join us is so much fun. How nice that you’re mentoring new runners! I have not gone to a race specifically for cheering for quite awhile, but I always hang around for awhile and cheer at the finish line if possible. The looks on the runners’ faces is priceless, especially those that are finishing half/full marathons. Thanks for linking with us! Kimberly Hatting recently posted…Recovery: Take 2! I do love sticking around at the finish line to cheer on runners after I’ve finished, especially if I’m running the shorter of two races so I have more time. I love cheering as well. It is so much fun! My favorite is the Chicago Marathon. I am hoping this year I make it to NYC for the NYC Marathon in November. The Cruisers’ Easter Bunny Hop looks like lots of fun! I sounds like so much fun to cheer at the NYC Marathon. I hope it works out for you to be able to go. I love how much fun your cruisers group has! it’s so nice to see the younger generation participating. I like to think that my GOTR girls are the next gen of MRTT. Thanks for linking up! At my race yesterday, most of the runners ran the 10 mile distance. Since I ran the 5k, I got to cheer on everyone crossing the finish line after me and got to see all the 10 milers come in. That was so much fun! I love seeing people smile when I would tell them good job. Your Easter Bunny Hop looks so cute! That sounds like lots of fun being able to cheer on the other runners running the 10-miler after you finished your 5K. Good job! 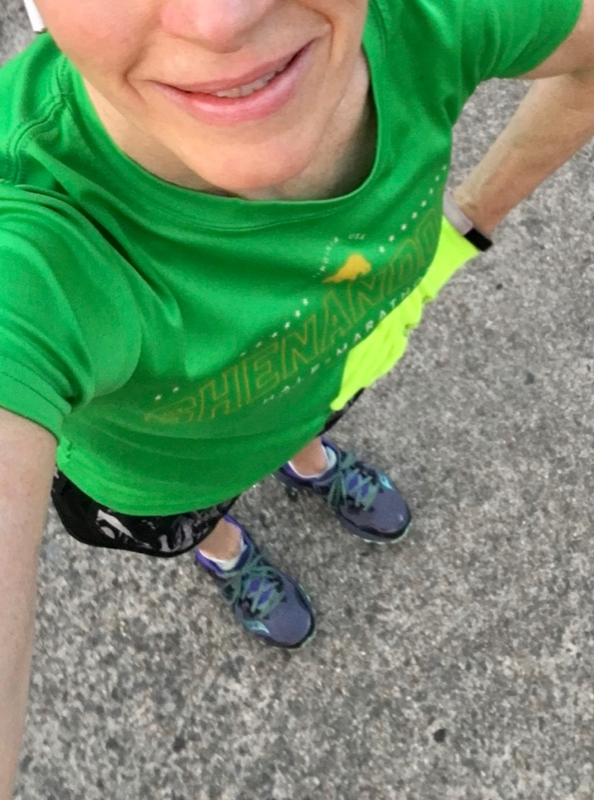 Our MRTT group gets together for a monthly run and drinks/food event, but I have been missing a lot of those lately because I’m trying to stick to my training (early morning runs!). Your comment about the police officer being a course marshal made me cringe because similar things happened to me when I was a course marshal one time. Driver’s get so irked and it’s hard to keep the flow while runners are on the course! I think it’s a stressful job!! I never make it to our MRTT pub runs because I run early in the morning and they’re obviously in the evening. I couldn’t imagine being a course marshal where I had to direct traffic. It sounds terrifying! Good for you for taking on the challenge! I’m in Boston right now just to cheer (mostly for my husband but others as well!) and really looking forward to it. It’s so much fun! I hope your husband had a great race and I can’t wait to read about it on this week’s recap (assuming you write about it)! I love the Bunny Hop event! and of course you had to show them the bench!! last time I had an MRI for my (tingling) foot the pins and needles was absolutely horrific during and after! ugh! and of course they found nothing… I hope you have a MUCH clearer result than I did!! with my social running group we used to occasionally do the “cheesecake run” together. this hasn’t happened in a while that I know of, but in the beginning we did it at least two times a year. We would start at Starbucks at the train station here in Arnhem and run to the Starbucks at the train station in Nijmegen. This is exactly a Half Marathon. Reward of course was cheesecake at Starbucks 🙂 Not only runners were invited, but if you couldn’t run and wanted to bike along, you were definitely encouraged to do so. So I’ve run it and biked it a few times. I’ve been supporting on the course quite a lot lately! I quite enjoy it! In fact I was at it again at a race my husband, my trainer and a few members of my training group were running. Yes, you have been cheering/supporting at races a lot lately. I’m sure your friends appreciate it! Your “Cheesecake Runs” sound like fun!